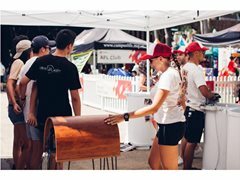 We're looking for staff for some exciting events in Queensland working alongside one of Australia's best brands on some cool beach activations. Areas staff are needed: Mackay, Surfers Paradise, Southbank (Bris). Ideally the perfect candidates will have previous promo experience and have worked with photo activations.